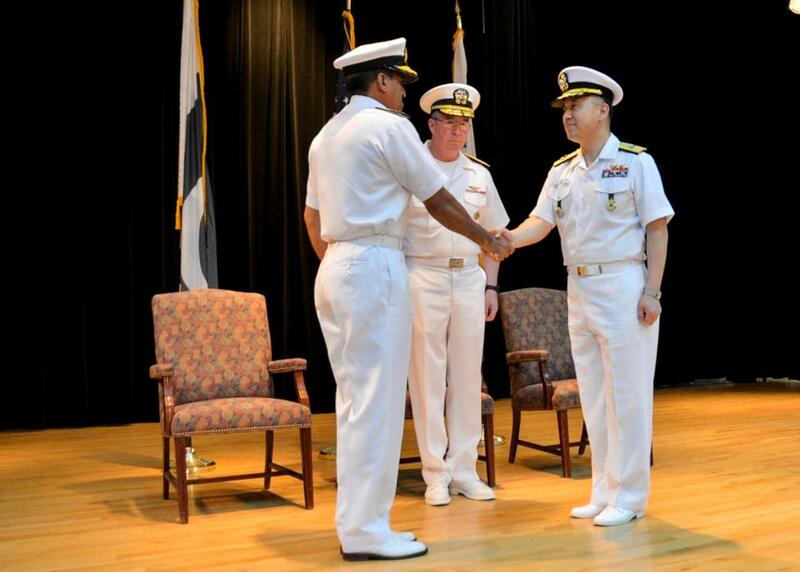 Commodore Ali Abbas of the Pakistan Navy has handed over command of the Combined Maritime Forces (CMF) counter-piracy operations in the Middle East to Rear Admiral Cho Young Joo, Republic of Korea Navy, at a ceremony held on 12 June 2014 in Bahrain. 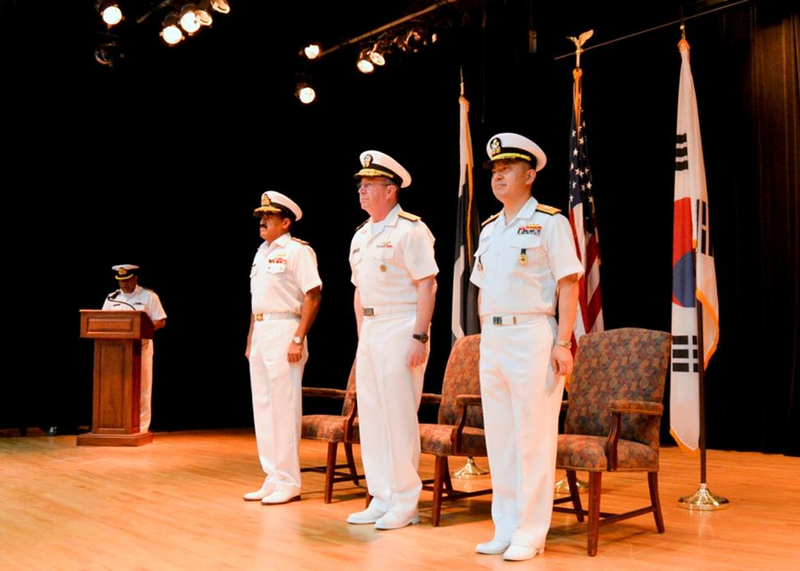 Vice Adm. John W. Miller, centre, Commander Combined Maritime Forces, along with Cdre Ali Abbas, left, of the Pakistan Navy, former commander of Combined Task Force (CTF) 151, and Rear Adm. Cho Young-joo, Republic of Korea Navy, stand in formation during the CTF-151 change of command ceremony. 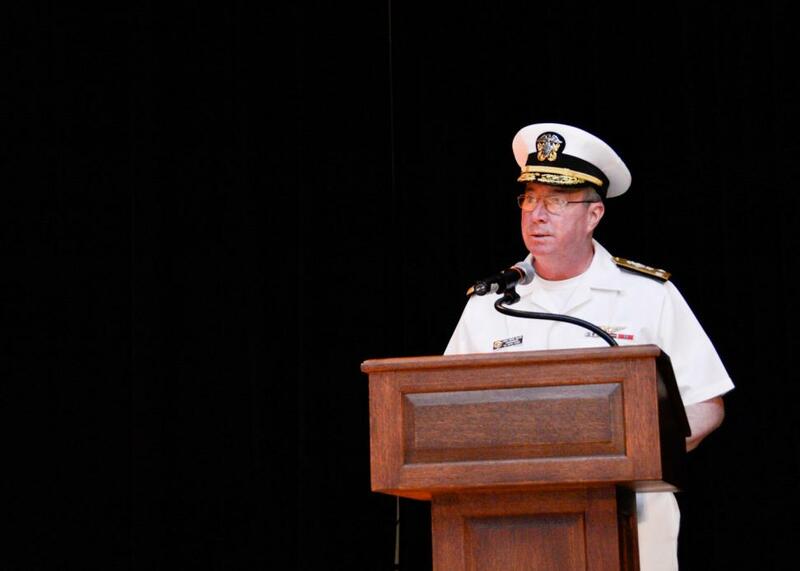 Vice Adm. John W. Miller, Commander Combined Maritime Forces, delivers his speech during the Combined Task Force (CTF) 151 change of command ceremony. Vice Adm. John W. Miller, centre, Commander Combined Maritime Forces, along with Cdre Ali Abbas, left, of the Pakistan Navy, former commander of Combined Task Force (CTF) 151, and Rear Adm. Cho Young Joo, Republic of Korea Navy, right, commander CTF-151, shake hands during the CTF-151 change of command ceremony. 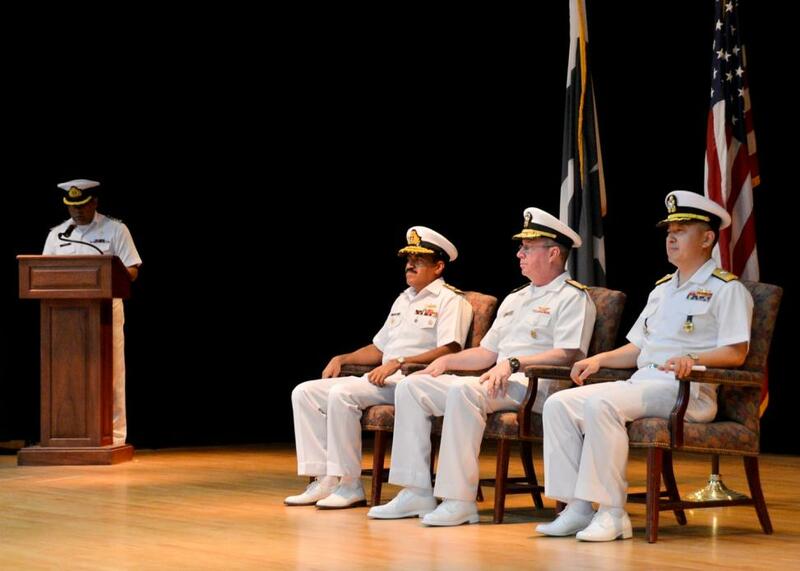 Vice Adm. John W. Miller, centre, Commander Combined Maritime Forces, along with Commodore Ali Abbas, left, of the Pakistan Navy, former commander of Combined Task Force (CTF) 151, and Rear Adm. Cho Young-joo, Republic of Korea Navy, sit during the conclusion of the CTF-151 change of command ceremony.